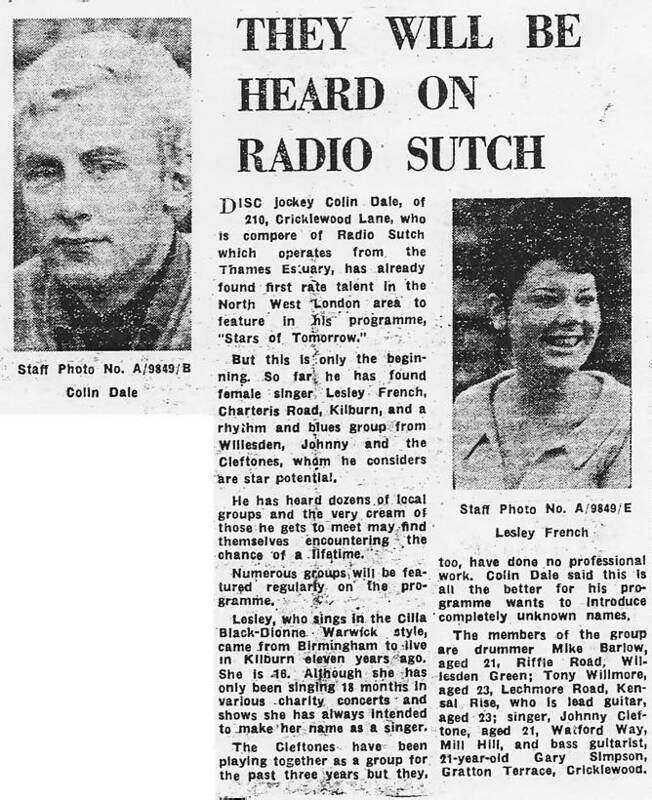 Colin Dale's Radio Sutch press cuttings. 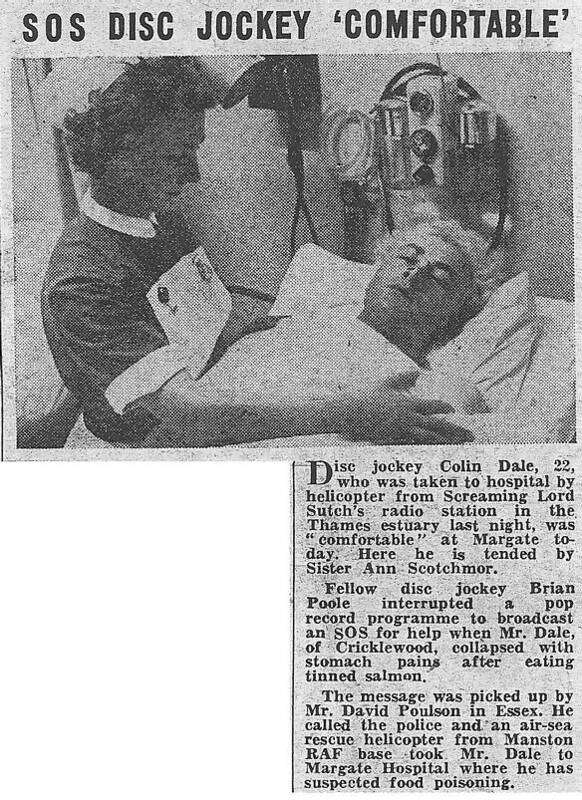 Colin Dale has very kindly provided these press cuttings from his time with Radio Sutch. From the north London local newspaper, The Kilburn Times, July 1964. 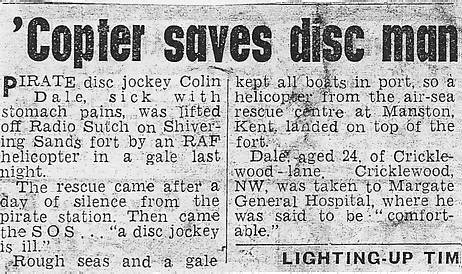 From the London Evening Standard, 8th June 1964. Back to Colin's memories of Radio Sutch.